The Toledo District of southern Belize is home to the organic cacao orchards and farms where the pods are grown extensively, harvested and processed and transformed into chocolate. 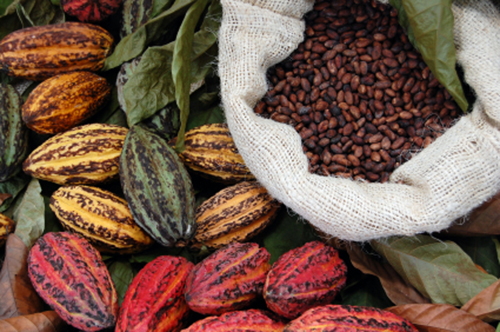 Cacao has played a dominant role in Belize since ancient times, when the Maya first discovered the ‘magical’ process that transformed cacao into chocolate, right through to the modern day. The area comes to life in May to celebrate with ‘CacaoFest’. The three days of celebrations include an evening of wine and chocolate and the Taste of Toledo cookery and craft fair. There is also Cacao for Kids activities, which includes a sock-puppet class and creating the longest rain forest mural in Belize with a chalk pavement art scene. The Cacao Trail tours take you through the organic cacao orchards in to learn how the pods are grown, harvested and processed before being turned into chocolate and the “Culture in Harmony” evening features music from the famous Umalali Group. The farms in Toledo are the sole supplier for the UK’s Green and Black’s luxury, organic chocolate, with its award winning Maya Gold brand of chocolate. There are also four locally produced brands of chocolate – Kakaw, Goss, Cotton Tree, and Cyrila’s.